This would make a fantastic holiday gift idea! 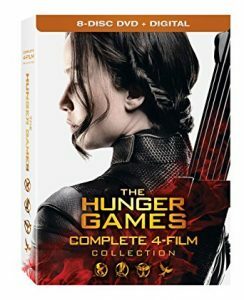 You can get the The Hunger Games: Complete 4 Film Collection Digital for only $13.00! You will be saving 57% on this purchase because it is normally $29.96! Make sure that you grab this deal soon because the prices can change at anytime! CLICK HERE TO ORDER The Hunger Games: Complete 4 Film Collection Digital for only $13.00 today!